Make your floors happy. STATE's hand painted rugs are part of a small STATE HOME collection and all one of a kind. 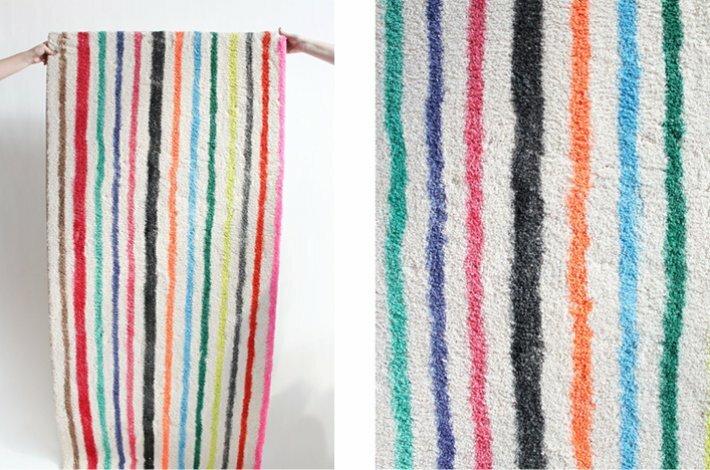 Painted with textile inks on remnant local rugs, these pieces will stand out in your house. The Ribbon Runner is like a carnival underfoot. 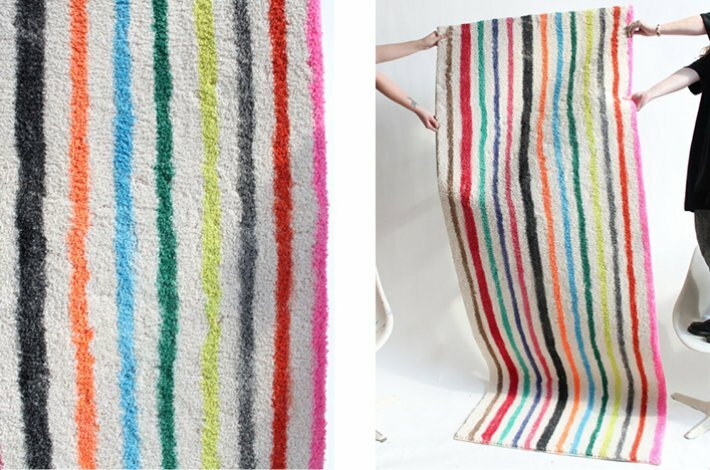 Painted with long stripes in a dozen bright colors, this rug will be a statement anywhere you put it. Hand painted, some variation will occur with high traffic.